Online clothing rental is a service through which people can rent clothing for a specific period of time. This service is mainly suitable for individuals who do not want to buy expensive clothing for a one-time event. Online clothing rental service proves to be a perfect solution for events such as theme parties, weddings, and photo shoots, where people prefer renting clothes rather than buying, in order to avoid high costs of the clothing. Rental dresses can be used several times by various customers. Growing e-commerce industry due to increasing demand for high speed internet services is one of the key factors fueling growth of the global online clothing rental market. According to the India Brand Equity Foundation (IBEF), India alone witnessed over 500 million internet users in the last quarter of 2015 and the market for e-commerce in India was valued at US$ 13 billion in 2015 and the same is set to increase to US$ 188 billion by the end of 2025. Apparels were ranked second in terms of market share in the e-commerce industry. However, one of the major challenges affecting growth of the online clothing rental market is availability of size. Rental dresses are of standard sizes and cannot be altered according to individual needs. Also, many designer dresses are available as limited edition due to which sizes are limited. 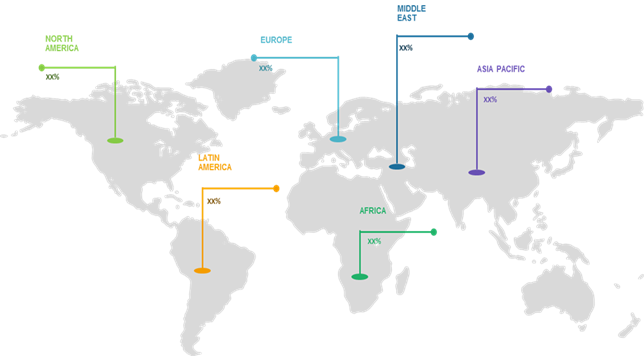 The global online clothing rental market was valued at US$ 1,506.6 Million in 2017 and is expected to register a CAGR of 9.4% in terms of revenue over the forecast period (2018 – 2026), to reach US$ 3,299.6 Million by 2026. Among clothing style, parties and wedding wear segment accounted for the largest market share of 58.8% in the global online clothing rental market in 2017. Wedding dresses are expensive and will be mostly used for one day, hence, consumers prefer to rent such clothes, which are cost-effective. People tend to use designer dresses for occasions such as weddings, birthday parties, and pre-weeding photo shoots, which increases demand for designer dress. For instance, Rent it Bae provides a wide range of designer dresses such as lehenga, sarees, gowns, dhoti sets, indo western, blazers, jodhpuri suits, and sherwanis for wedding and theme parties. 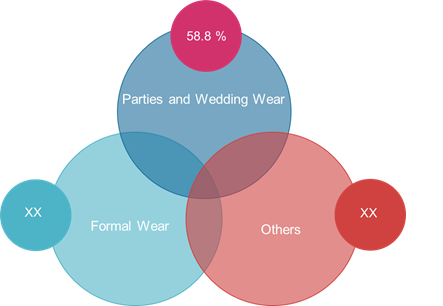 Among end user, Men segment in the online clothing rental market is rapidly growing due to rising demand for wedding dresses and party wears amongst men consumers. Online rental clothing is a cost-effective and convenient solution for occasional wear and for specific functions. For instance, in 2016, Flyrobe, an online rental clothing company, launched a wide range of men’s wear including ethnic and western wear for special occasions such as wedding, photo shoots, and parties. North America accounted for significant market share in the global online clothing rental market in 2017. Traditions such as celebration of Halloween, and parties and events that require a specific outfit for one time usage are some of the key factors driving demand for online clothing rental in the region. Companies operating in this industry are engaged in extensive marketing and promotional activities to gain competitive edge in the market. For instance, in October 2017, Rent the Runway announced a low price membership called RTR Update, where the buyers get to rent four pieces of clothing from the company for a month. At the end of every month, subscribers can select four new items after returning their older clothes. The subscription costs around US$ 89 for a month and includes services such as shipping, dry cleaning, and insurance. Major players operating in the global online clothing rental market include GlamCorner Pty Ltd., Rent the Runway, Inc., Lending Luxury, Flyrobe, Gwynnie Bee Inc., Bag Borrow or Steal Inc., The Secret Wardrobe Limited, Le Tote, Union Station, Inc., and Her Wardrobe. Online clothing rental is a service by which someone can rent clothing for a specific period of time. It provides wide range of dresses, easy payment, and delivery of clothes in time. The company offers wedding dresses, formal dresses, elegant dresses, evening dresses, prom dresses, and cocktail dresses for events. Increasing consumer preference towards rental designer dresses owing to benefits offered by it is a major factor driving growth of the global online clothing rental market. Designer dresses are used for one time thus, renting clothes is useful as there is no repetition of dresses in events such as weddings, cocktail parties, office parties, and others. Different choices and varieties are available on online portals for the occasion and functions such as wedding, theme parties, and school plays. Traditional as well as modern dresses are available on rent such as bridesmaid dresses, formal gowns, kaftans, and cocktail dresses. However, lack or low customization option and low societal acceptance of the idea of renting clothes is a restraining factor for the growth of online clothing rental market. On the basis of region, Latin America accounted for the significant market share in the global online clothing rental market in 2017. This is due to several new start-ups beginning their online clothing rentals, which is expected to aid in growth of the market in the region. For instance, in 2012, Mr. Barbara Almeida and Ms. Mariana Penazzo started Dress and go, an e-commerce rental clothing company, in Brazil. In 2015, Kaszek Ventures invested in Dress and Go to offer luxury apparel rental cloths in Latin America. * Browse 27 market data tables* and 17 figures* on "Online Clothing Rental Market” - Global forecast to 2026.